Welcome to DeWitt Pet Hospital! Your local veterinarian in DeWitt, IA. We’d like to thank you for visiting our website. We are a full-service veterinary medical facility, located in De Witt, Iowa just north of the Quad Cities. We have a professional, educated and courteous staff who are committed to provide the best possible medical, surgical , orthopedic and dental care for our highly-valued patients and their loving owners. We are committed to promoting responsible pet ownership, pet grooming, dog boarding & cat boarding and health-related educational opportunities for our clients. Please take a moment to contact us today to learn more about our veterinary hospital in DeWitt and to find out more information about how Dr. Troy Stafford and his staff at DeWitt Pet Hospital can serve the needs of you and your cherished pet. Our Pet Hospital in DeWitt, IA is proud to provide veterinary care for patients in DeWitt and surrounding areas! 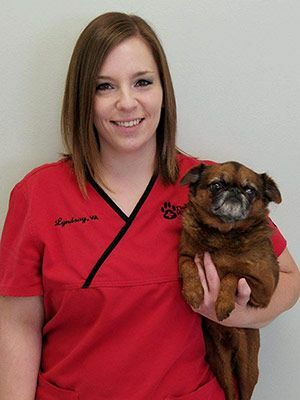 Meet the veterinary team of DeWitt Pet Hospital in DeWitt, IA! We’re pleased to provide a variety of services for your pets. Please call us at 563-659-1738 to speak to one of our caring staff members. 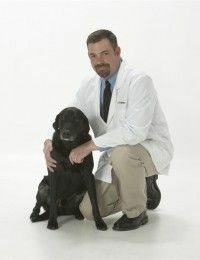 Dr. Stafford graduated from Iowa State College of Veterinary Medicine with his DVM in 1997. He moved his family to DeWitt after graduation and has been here ever since. Dr. Stafford is a member of the Iowa Veterinary Medical Association (IVMA) and the American Veterinary Medical Association (AVMA). Outside of work he enjoys spending time outdoors, traveling to visit his children on the weekends, and cheering on the Iowa State Cyclones. Dr. Stafford has a Black Labrador (Nobi). Dr. Stafford is committed to his patients through all stages of life and enjoys educating his clients. 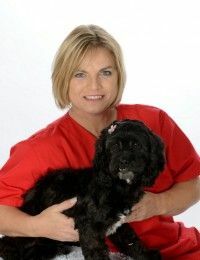 Dr. Cathi Schultz is one of our veterinarians. 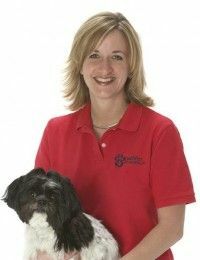 She graduated from the University of Illinois in 1998 with her DVM. She enjoys watching movies, reading, cooking/baking, hunting, shooting sports, photography, traveling, and spending time with her daughter. Dr. Schultz has one dog, three cats, and three rabbits. 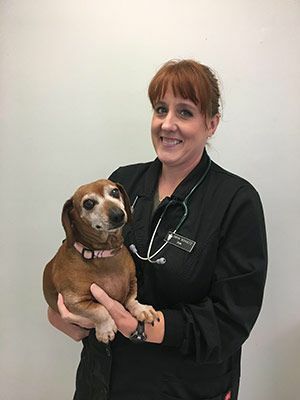 ​​​​​​​Jennifer is a familiar face here at Dewitt Pet Hospital. She has been working as Dr. Stafford’s practice manager since 1998. Although the majority of her job focuses on the management side, you will also find her filling in wherever is needed. She looks forward to visiting her grown children on the weekends and enjoys home improvement projects. 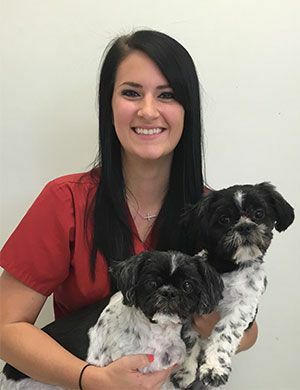 Alicia graduated from Kirkwood in 2005 with an Associate’s Degree in Applied Science - Veterinary Technology and has been working for Dewitt Pet Hospital since. Alicia assists our veterinarians with wellness exams, diagnostic work, and surgeries. In her free ​​​​​​​time Alicia enjoys gardening, riding horses, watching movies, and going for walks with her husband Seth and their son Eoghan. Alicia has two Shih Tzus (Sophie & Layla), a Husky mix (Bear) and two horses. ​​​​​​​Megan received her Associates degree from Muscatine Community College in Veterinary Technology in 2012. You may see Megan helping one of our veterinarians during your pet’s checkup. She also has many duties in our lab area. Some of Megan’s hobbies include obedience dog training, upcycling furniture, and spending time with her family and friends. She has two Australian Shepherd’s (Mason & Arrow). 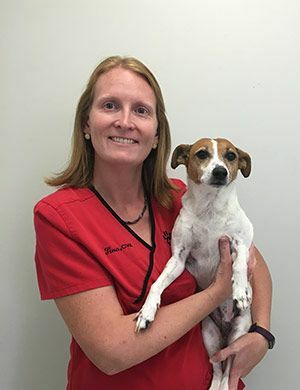 Tina completed the Veterinary Assistant program from Kirkwood Community College. She also has an Associates of Science degree that she received in 2003. Tina assists our doctors during appointments and also is in charge of reception duties. Tina’s hobbies include spending time with friends and family, camping, going on walks, riding bikes, kayaking, baking, cooking, and coloring. She has a Jack Russell (Bailey), a Golden Retriever (Mya), chickens and multiple outside cats. “I love what I do. I enjoy working with animals and helping our clients." 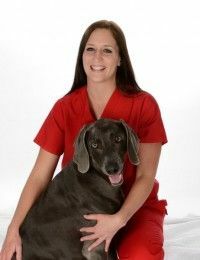 Lyndsay has been working in the veterinary field for many years and joined the DPH team in 2017. Lyndsay is one of the friendly faces you will see upfront in our reception area. She also assists during wellness exams. Her hobbies include spending time with her family, camping, fishing, attending Iowa football games, crafting and decorating. She has a Brussels Griffin (Crash) and two cats (Gangster & Jaeger). 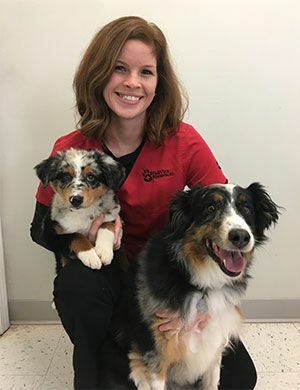 ​​​​​​​Samantha received her Bachelors of Science Degree in Animal Science from Iowa State University in 2018. She currently resides in Ames, so you may see her here at Dewitt Pet Hospital on the weekends or around the holiday seasons. She enjoys taking her dogs on walks, watching movies, going to amusement and water parks, and attending Iowa State football games. She has two Shih Tzus (Stewie & Archie).